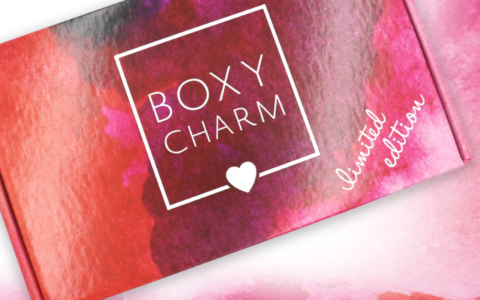 Bombay & Cedar is a monthly luxury lifestyle subscription box for women that focuses on essential oils, diffusers, skincare, books, snacks and other products. This review is for their Limited Edition Summer box, which is a specially curated one-time purchase box with a retail value of over $300.00! The Cost: $119.00 per month + free US shipping, or save with longer subscriptions. The Products: 12 thoughtfully curated self-care and wellness items that fit the summer season. Here’s the info booklet for the box, which includes a product list. I also got a little bonus pen! The first “item” in this box is a set of two of the brand’s proprietary essential oils. Mood Boost is a blend of tangerine, grapefruit, ylang ylang, and geranium essential oils. It’s citrusy, but not in an astringent way—it’s just kind of bright, sweet, and upbeat. It’s the kind of thing that smells just right subtly flowing through my living room when the windows are open on a beautiful day. This little orb isn’t just an aesthetically pleasing addition to my window sill—it’s also a hydroponic plant growing kit! This little booklet includes the instructions on how to care for your new plant. The kit was super simple to set up. You essentially just add water and some plant food to the main pod, drop the soil and seeds into the basket, and set everything in a warm, sunny spot. I’m keeping an eye out to see if something sprouts! Next up, there’s an electronic diffuser to help my new essential oils spread through the air. It’s small (2″ x 3.9″), so it’s great for a desk (or maybe a small outdoor table, which is what I’m thinking for that bug off blend). It has a colorful light built in that you can also choose to turn off, and you can charge the device via batteries or the included USB cord. I am LOVING this moisturizing creme! It’s cruelty-free and vegan, and it’s so light that you might not expect it to be as nourishing as it is. I’ve been patting tiny amounts of this formula around my eyes. It’s the kind of thing where I put it on, and moments later I literally feel my skin relaxing and feeling plump and moisturized. There’s no oiliness or residue left behind either. Love love love! I couldn’t find this exact gemstone style on the Rory and Ashton shop, but all of the other versions they have are priced as I listed above! I think I received the quartz version, but customers may have received onyx, amethyst, turquoise, howlite, and rose quartz. I really like the design of this necklace, with its combination of quartz, rhinestones, gold chain, and soft silver faux-suede cord. It’s a choker, with a 13″ chain and a 2″ extender. It feels a little bit boho, but is still crisp and modern enough to suit my sense of style! I’ve tried my fair share of bath bombs, and I think this is one of my faves! I like the clean, beautiful design of the paper packaging, and the crystal-tipped pyramid shape of the bath bomb looks super chic. The aroma is the best part, of course—it’s a blend of basil, orange, petitgrain, rosemary, and vetiver that smells like a fresh, floral, sun-soaked meadow. It’s super relaxing and restorative. Plus the salt mixture includes European mineral salts to pamper your skin. Oh, and how fun is it that you get an (inch-ish big) amethyst crystal with the bomb?! The candle comes with a coupon for the brand, too! I could see these making great gifts. I’m not sure how I feel about this water bottle kit. On one hand, I love the idea of treating myself to water that’s been upgraded with cleansing charcoal. On the other hand, this design is kinda clumsy to me. The idea is that you drop the included chunk of rechargeable charcoal into the bottle, then squeeze the bottle around to lodge the charcoal rod into that notch on the side of the bottle. I like that the charcoal isn’t going to be sloshing around in the bottle, but I kept thinking I was going to break the bottle as I tried to nudge it into place. It’s too narrow a bottle for me to push it into place with my finger. I have a pretty big collection of reusable bottles and cups going on in my kitchen right now. While I don’t mind this bottle, it’s not my fave design-wise. I know that’s pretty superficial saying that, but it just doesn’t feel super sturdy (the cork-like cap doesn’t feel as secure as other bottles I have) and the plastic feels a little flimsy. So it’s not for me. It’s not a bad bottle, but not quite my taste. Wow were these ever good! I love toasty coconut, and this snack features coconut PLUS chocolate! There are even pumpkin seeds sprinkled in there for good measure. I love the light crunch and yummy sweetness. How cute is this stout little teapot?! I love the color scheme and dot pattern. Inside, there’s a basket to drop your loose leaf tea into—it fits neatly into the top of the teapot so that the lid can shut over it. The pot has a 20 oz. capacity, so it’s great for when I want to whip up some tea just for me. I’m not a huge fan of “dessert” teas, but I do like that earl grey macaron flavor! (Probably because it’s earl grey based, haha.) Even so, I do like that they included teas to accompany the teapot. Even if I don’t use all of these teas, I appreciate the thoughtful curation! I’m not a gummies fan, but I might have to turn to these strawberry flavored gummies soon—a stretch of stressful days has been messing with my good nights’ sleep! This formula includes melatonin to help you relax and fall asleep naturally. Verdict: This was such a lovely, thoughtfully curated box! I really appreciated all of the areas that the products in this box touched, including the kitchen, my medicine cabinet, my snack drawer, my beauty routine, my accessory collection… It felt really holistic. The quality of everything was great, and the general aesthetic of the box was fresh and fun in a way that didn’t feel tired or overly trendy. It’s a pricey purchase, but I feel like it’d be a great gift for a hostess, newlyweds, etc. (Or for yourself, of course!) The value of the items inside feels like it matches the price. Can you still get this box if you sign up today? Yes! Hurry and order while it lasts! Check out all of our Bombay and Cedar reviews! 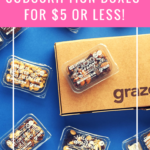 Keep Track of Your Subscriptions: Add Bombay and Cedar to your subscription list or wishlist! What do you think of the Bombay and Cedar Summer Box? I love everything in this box. I can’t justify spending $120 on things I don’t need. Wish I could though! I’m with you. It’s a costly “treat” I can’t justify. I canceled my FFF and Sugarbash. Kept CauseBox. I have accumulated SO MUCH stuff that is not being used. It didn’t make sense to spend $ on something I got very little use from. And going on the swap FB pages is pointless. Everyone wants the same things. And I got screwed too many times with trades so I stopped. This was my first purchase from Bombay and cedar, after missing out on the amazing winter le box i jumped on this as soon as it was announced. So happy with it! This was my first purchase from Bombay. It is rather expensive for me, but I decided to take the risk. I am glad I did. This is a very interactive box – you actually do something with the items received. My favorites are the water bottle and the Hydropod (if you want to grow your next crop of herbs, though, you’d have to buy new grow plugs). I love everything else (except for the bug off oil). I do feel, however, that the necklace doesn’t live up to its listed value- I’d pay $10 for it, but it’s pretty, so I’m not complaining. Overall, this is a beautiful box, well curated and presented. Ooo, I love your observation about it being “interactive”, Emilia. It’s so true – these are all products you can literally USE! It has been a long time since I have seen a sub box as good as this one (that does not cost a fortune). Items are unique and appear interesting to use. If I had known it would have been this good I would have ordered it. You just never know!! The info on here is incorrect! It’s still available for purchase!! Go get it, I love mine. I got this box and really like it. I love the water bottle. It was super easy to lock the charcoal in place and the cap is leak proof when you have it locked in there. I’ve had the bottle full on its side in my car, so I can confirm this, lol. It’s not a flimsy design at all.